Eve Penberthy is passionate about meeting conflict and public issues with conversations that prioritize the collaboration of intersecting needs and viewpoints, and is a keen advocate for starting these discussions with youth. She has worked closely with Play in the Wild! leading full-immersion education programs based on the philosophy and practices of nonviolence for youth from around the world. Her work with Play in the Wild! has inspired a dedication to mentorship and creating containers in which difficult conversation can happen through an understanding of interdependence. Eve is most concerned with the concept of “Radical Homemaking” a term she uses to describe an embodied investment in self, community, and place. She is particularly interested in how the concept of “home” lives in people and communities that have been displaced, both currently and historically. 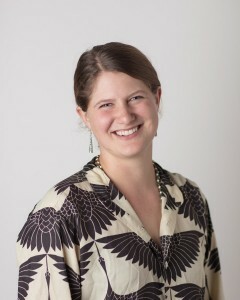 Eve graduated from Whitman College with a degree in Environmental Humanities. During her time at Whitman she participated in State of the State for Washington Latinos, a Community-Based research program in which she worked to asses barriers to immigration services in Washington State, and Semester in the West, an interdisciplinary field program focusing on public lands conservation in the interior American West. Through these immersive programs Eve’s commitment to thoughtfully serving her community and bringing diverse voices into dialogue deepened.